PROJECT ALMANAC DVD Review | Warped Factor - Words in the Key of Geek. Project Almanac is a jaded, adolescent-focused fiasco that completely bungles a great concept and then reduces it to rubble. This catastrophe seduces lovers of science fiction with the promise of something special, but delivers little more than a tragic butchering of time travel in a movie which offers a very minimal amount of satisfaction. The film stars Johnny Weston (Chasing Mavericks), Sofia Black D’Elia (The Immigrant), Sam Lerner (Nobody Walks), Allen Evangelista (Balls Out: Gary The Tennis Coach), and Virginia Gardner (The Goldbergs tv series). This mishap is a paradoxical, bungled stab at trying to infuse a reality based concept with a sci-fi/ action story in a modestly effective attempt to grant a new perspective on the oft used concept of time travel. It revolves around a group of teens who stumble across a time machine then begin to use it for their own selfish purpose, unbeknownst of the consequences that come as a result of their indulgence. The film is fatally flawed and it neuters the great trailer that was associated with it. 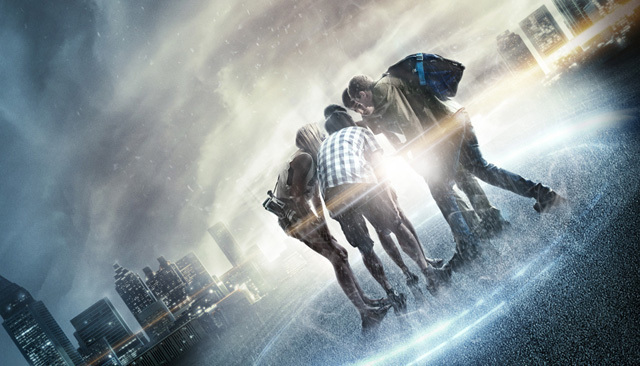 Despite having a sound and promising premise, Project Almanac fails in a multitude of ways. First and foremost, it falters because of its usage of the first person camera angle. This really murders the enjoyment of the story. It would have been far better served with a normal camera angle which would've allowed the audience to truly absorb all of the detail, instead the shaky and often misplaced camera angles detract from the story. Secondly, the story is decent but it's far too focused on the adolescent indulgences, which offsets much of the enjoyment of the film for people beyond the target audience. We all understand the premise of the misuse of power by the teens and the fact that that is the foundation of this story, but with a running time of about 90 minutes, far too much is wasted on the adolescent hijinks of the quintet and we're about 70 minutes in when we finally get to the heart of the story. The cast is comprised of mostly unknown actors. As with most of the films that use this perspective, that is something which really works well. Despite the youth of the cast, each of them make the most of this doomed spectacle, performing admirably. The failure of the film is not on their shoulders. Project Almanac could have been special. It had all the great makings of a truly enjoyable science fiction film... and then the movie started. After a promising trailer, then multiple adjustments with its release the date, I thought the film would be something special. Instead, what we get is an MTV style rip-off reality movie that offers more disappointment than satisfaction. Instead of actually indulging the story, the film takes the easy way out and turns it into one teenage indulgence after the other. It then tries to redeem itself in the waning moments with a good climax and some thought provoking questions. 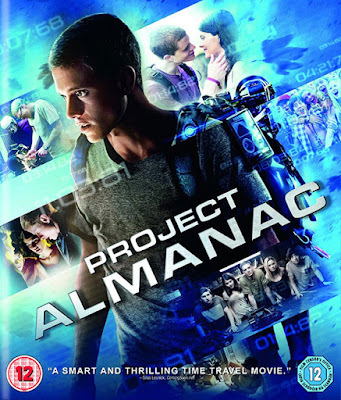 Unfortunately it was way too little, way too late, and means that Project Almanac is one of the more disappointing films for me in some time. It’s not a dreadful watch. It's not worth a DVD/Blu-ray investment though. Redbox or Netflix it. Don’t waste any more than that on this.